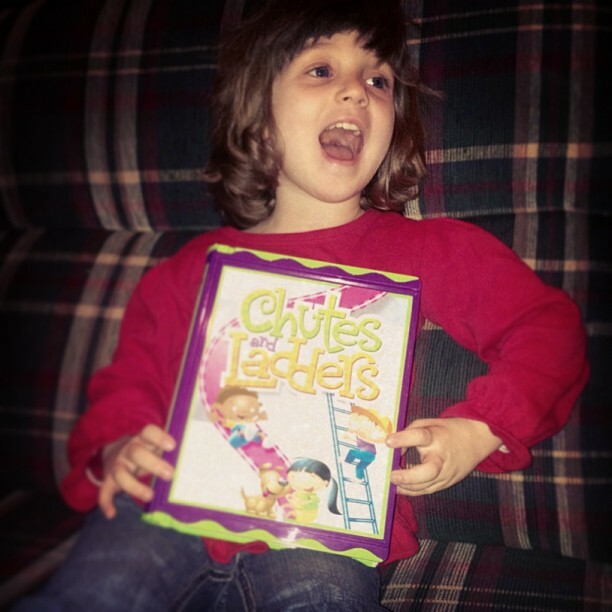 Playing Chutes and Ladders with Sara…. She reached the top of the board first. I asked “do you know what this means?” She said “no.” I said “it means you Won!” She said “but daddy, I don’t have a pigeon!” ??? Home » Blog » Family » Playing Chutes and Ladders with Sara…. She reached the top of the board first. I asked “do you know what this means?” She said “no.” I said “it means you Won!” She said “but daddy, I don’t have a pigeon!” ?? ?